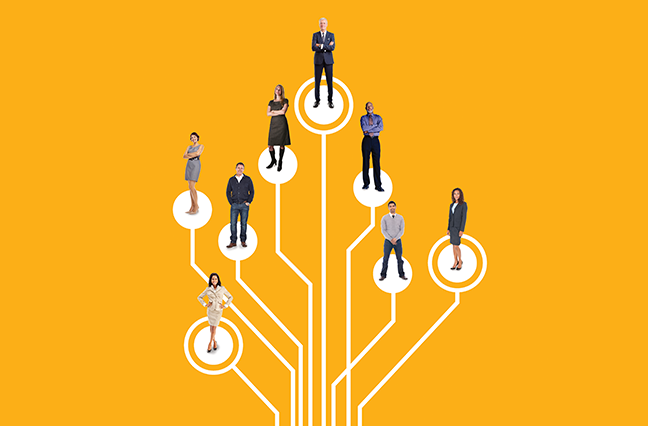 Predictive analytics and integrated HR tech explain your multi-generation workforce’s differing wants and needs. In the world of benefits brokers, one size no longer fits all. Clients today want benefits packages for workers from five different generations with five different desires. As compliance issues mount, brokers have an opportunity to separate themselves from the field. Employers want brokers to assume a stronger role in making decisions about human capital management systems. HR is evolving into a strategic function that includes change management, company culture and workforce demographic shifts. That can be good news for brokers: the increasing amount of regulation and compliance issues that HR departments must deal with gives brokers an opportunity to separate themselves from the field. As human capital management matures from leading edge to must-have for many clients, employers want brokers to assume a stronger leadership role in gathering information and making decisions about HCM systems. That’s according to the “ADP Employer & Employee Benefits and Human Capital Management Study,” conducted by SourceMedia Research in 2016. Bruce Whittredge, ADP vice president of channel sales for major accounts, says the workplace is evolving at a rapid rate and brokers increasingly are asked to lead conversations regarding their client’s HCM strategy, systems, people and resources, strengthening the broker’s position as a trusted advisor. It’s a trend Darren Brown, executive vice president for employee benefits at ABD Insurance & Financial Services, has seen developing over the past decade. For many clients, HR is transforming from an administrative role that operates in silos and is tactical in nature to a strategic function that includes change management, company culture, workforce demographic shifts, process improvement and more. Benefits brokers are recognizing the need to extend their ability to add increased value around this HR transformation. It’s the strategy, buildup and delivery of the programs that provides the most value today to people managers and requires the most thoughtful work. A company’s benefits package can be a tool to separate it from its competitors to find and retain the best talent. Because there are many options and clients have different needs, brokers increasingly must create more specialized packages. Today’s workers aren’t only switching employers for higher wages, they’re considering other factors like ﬂexibility, meaning in their work, philanthropy and company environment. Keeping workers happy can be the difference between retaining them and losing them. A 2016 study by Guardian Life Insurance found 84% of employees who have high satisfaction with their benefits also have high job satisfaction. That means the brokerages that stand out from competitors will be the ones that can help employers create benefits options specific to the client’s workforce. Determining what is a good benefits option for the client is challenging. But big data can offer brokers precise insight for helping craft a benefits program. It can help them understand more about what a client’s employees need and want and then begin to tailor a package. One of the leaders in compiling workforce-related data is ADP, which administers benefits for one of every eight private sector employees in the United States. ADP is the largest provider of HR services in North America, Europe, Latin America and the Pacific Rim. It pays 26 million workers in the United States and 13 million elsewhere. In 2016, it processed nearly 60 million W-2s within the United States and electronically moved $1.7 trillion in client tax, direct deposit and related client funds in the United States. It has more than 650,000 clients worldwide and access to 30 million people-records. These data can provide employers more clarity into what benefits their workforce wants. That can be critical as employers try to manage five generations of workers. THE SILENT GENERATION consists of workers ages 71-89 and makes up less than 1% of the U.S. workforce. According to the Society for Human Resource Management, these workers place a strong emphasis on rules, lead with a “command-and-control” style and prefer face-to-face interaction but communicate best formally. What your benefit package says is a direct reflection of the culture you are trying to build as more people look at benefits as a huge play for them. BABY BOOMERS, ages 54 to 70, make up 27% of the U.S. workforce, but their numbers are declining. Baby boomers are retiring at a rate of 10,000 per day, yet many can’t afford to retire and want to work part-time or seek contract work. The ADP Research Institute notes baby boomers are delaying retirement, making it more difficult for workers in subsequent generations to reach senior-level positions and key leadership roles. However, baby boomers have an immense amount of knowledge and skills and are looking for a way to share them before they retire. GENERATION X, ages 34 to 53, make up 35% of the workforce. Data indicate they prefer independence and fewer rules and want to balance work and family. These workers are sandwiched between a large population of baby boomers and an even larger population of millennials. This group is starting to focus on future-oriented areas like retirement, while also climbing the career ladder and looking for ways to continue advancing. Coaching and leadership development are critical for these workers. MILLENNIALS, ages 20 to 33, make up 37% of the workforce. They tend to take an entrepreneurial approach to work, prefer direct communication and feedback, and want a social, friendly work environment. Data from the ADP Research Center indicate these workers want opportunities to learn, grow and advance their careers. Their reputation for changing jobs often reflects the failure of organizations to train them. GENERATION Z workers, under 20, are just entering the workplace and make up 1% to 2% of the workforce. According to SHRM, they are likely to use Twitter to find jobs and communicate best by smart phone/email. They came of age during the recession and put money and job security at the top of the list. A 2017 study found few senior executives and HR professionals can translate human capital management data into predictive insights. According to the Mercer 2017 Global Talent Trends study, nearly one in five is generating only basic descriptive reporting and historical trend analysis. Brokers who can analyze big data can help their clients identify emerging trends and make better-informed business decisions. ADP, the largest provider of HR services in North America, Europe, Latin America and the Pacific Rim, pays 26 million workers in the United States and 13 million elsewhere. Whittredge says brokers who can dig deeper into data will be able to identify areas where clients should consider changes. For example, he says a company may think employees want a high-deductible plan with certain options but the data indicate only boomers are using the plan as intended. Upon examination, the data may indicate that millennials require different healthcare options and that segment is growing by 10% a year. Brokers who are armed with these numbers can make plan recommendations that will better serve their multi-generational employee population in the years to come.